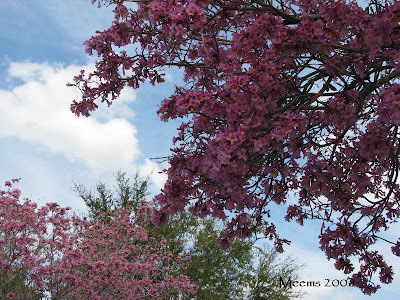 In Florida there are few, if any, flowering trees that can come close to the particularly showy blossoms of the Tabebuia or Pink Trumpet Tree. There are no leaves on the tree during flowering but I love the contrasting silvery wood of the branches. The 3" long, trumpet-shaped flowers appear in spring and can be pink, purple, or yellow, depending on the species. I spotted these spectacularly flamboyant trees planted in two rows of 5 in front of a business down in Manatee County (about 1.5 hours South of me) while on our out of town trip this weekend. Don't they make a stunning display against the blue sky? You would plant this tree in full sun but you'd have to live in the warmer parts of South Florida or another frost-free humid climate. They are native to the Amazon rainforest. 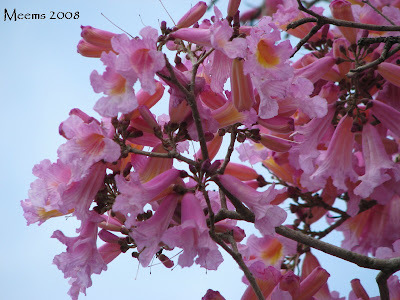 Pink trumpet is a semi-deciduous tropical tree that grows to an ultimate height of 50 ft and requires little maintenance. 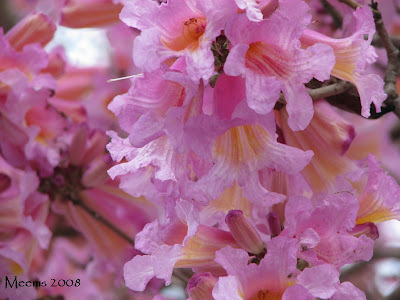 What is your favorite flowering tree? These are beautiful. I need to start studying and reading up on trees. I know nothing about any species really besides the crape myrtle. I would love to have one of these. If only I had a backyard. Do they do well in zone 8? What a statement this tree makes. It surely says loudly that Spring is here. It's not shy is it? We don't have any places here called Manatee---sounds so mermaid like;) This post really appeals to me today. I needed cheering up and you did it. Beautiful tree! Pink is usually my favorite flower color. So nice to see such a profusion of bloom when it's so cold and gloomy here. That is a gorgeous tree. Explosion of pink is just what I needed today. Gorgeous tree! 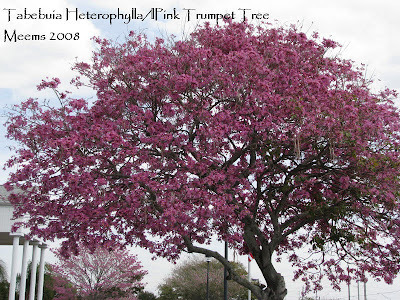 I've never seen a pink trumpet tree (or a red or purple one either). My favorite flowering tree is a Royal Poinciana. I imagine they grow well in your neck of the woods, too, Meems. I have a 4 year old one in my yard and am hoping for blooms this spring. vanillalotus: The trumpet tree would not do well in Zone 8 because it requires the warmest temps of Zone 9 and Zone 10 is where it does the best. I'm sure there are some blooming trees we can't grow here that will do well for you... like dogwoods and cherry blossoms... now those make me envious. anna: Not shy at all. This particular planting was just beginning to peak. I'd love to see all of them when they are all at peak- awesome. Glad the sight of them gave you a cheer! Lintys: There's nothing like some pink blooms to brighten the soul when it's cold and gloomy. Robin: I'm so glad you needed a burst of pink today... I did too. Mary Beth: OOOO the Poinciana does very well in South Florida which begins just beneathe me... those beauties can be seen lining the streets of some Atlantic Coast towns. I hope yours blooms for you this year. Beautiful! I have a hard time choosing favourites. I do love the hog plums which are bursting with new blossoms and blooms right now. And up in Tally, the saucer and star magnolias are bringing neighbourhoods to life. It won't be long before the dogwood show begins. Down at Alligator Point, there's a huge Jerusalem Thorn that I always look forward to seeing bloom. How can a person choose just one? 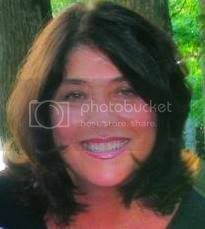 sophie: I'm with you - it is hard to choose a favorite they are all varied and loved for their diverse habits. I can't wait to see the dogwoods blooming!!! What a beautiful tree! I do love the Magnolias but my current passion is Prunus serrula, the birch bark cherry, also called paperbark cherry. It has brilliant white blossoms AND the gorgeous glossy mahogony red bark. Wow, never seen one before. All I'd need to do to have one for myself is build a fifty foot heated dome. Hey, that sounds pretty reasonable to me while looking at those photos. My favorite is the money tree. I haven't gotten it to bloom yet but I keep investing in it. WWA: I'm not familiar with the tree you describe but it sounds luscious. Connie: soon you will have color and lots of glory in your own garden... right around the corner. wiseacre: funny! When you figure out how to make that tree bloom let me know. Joey: I saw the weather report and thought about you folks in the snow... sleeping earth will wake for you soon with bright and beautiful flora before you know it. Marie: Glad you like them. Bellen: That information is kind of ironic being that we get high winds and hurricanes in Florida. Hurricane Charlie was a disastrous blow for SW FL. My dad lives in Port Charlotte and it came right over his house. Thanks for stopping by Hoe and Shovel.